Hello Everyone! My Zest Family has had their "First BBy"! BBy Jonathon is gorgeous and will be a wonderful addition to my family! 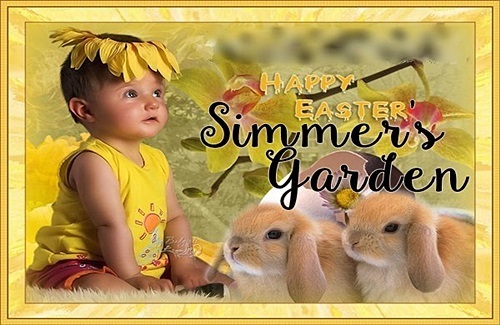 Cinda Simmer & Kevin Simmington! Daisy and Shea Todd Get Engaged & Married! This is Daisy Greenman & Shea Todd's First Child. 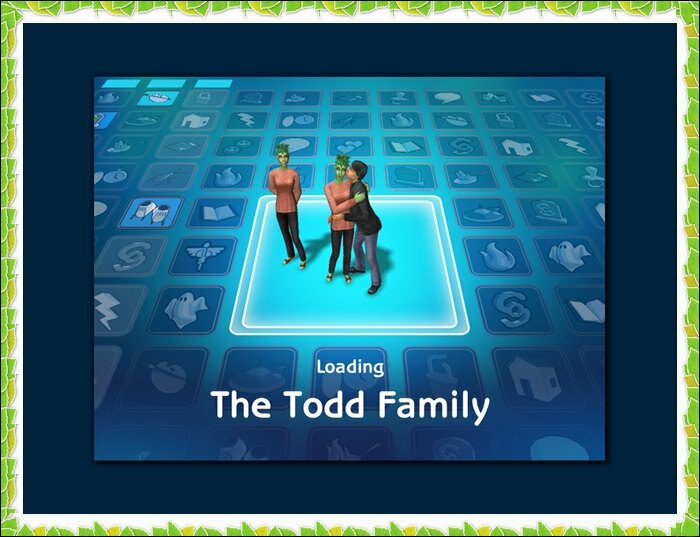 This is my "Todd" family, and welcome to the newest "Greenman" offspring. Daisy - BBy Tulip and Alejando Jalowitz! Everyone! This is Daisy and her new family I played on my husband's comp. 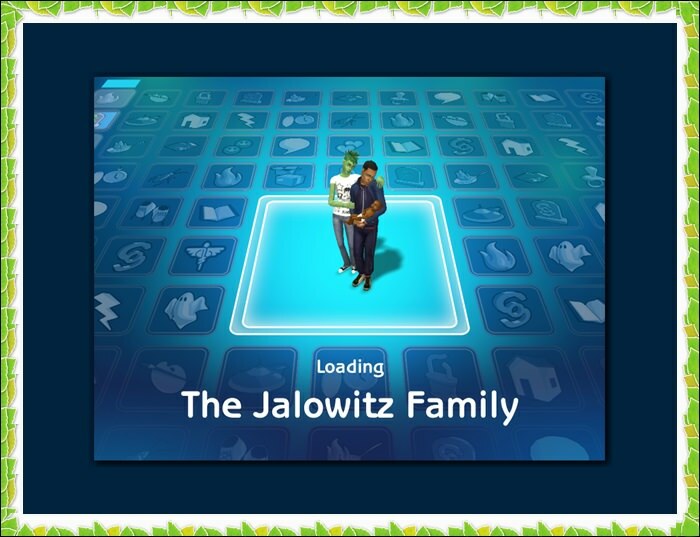 Daisy has married homie Sim - Alejando Jalowitz and they have a bby girl named, Tulip. I've got a lot of catching up with my Plant Family. I really enjoy playing them. Family Moment with the Greenman's! My Wolfe girls have grown up to beautiful Teens. They are both well adjusted, A+ Students. I got their father from Ms. Daisy! 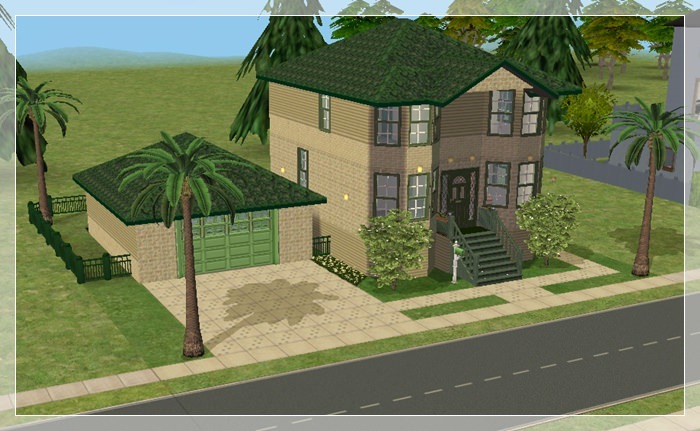 Plant Sims Houses - Greenman's! playing my Plant Peeps! Check out my "Spoilers" to see more snaps. Life with Stacy Adams & Jess Lajoie! 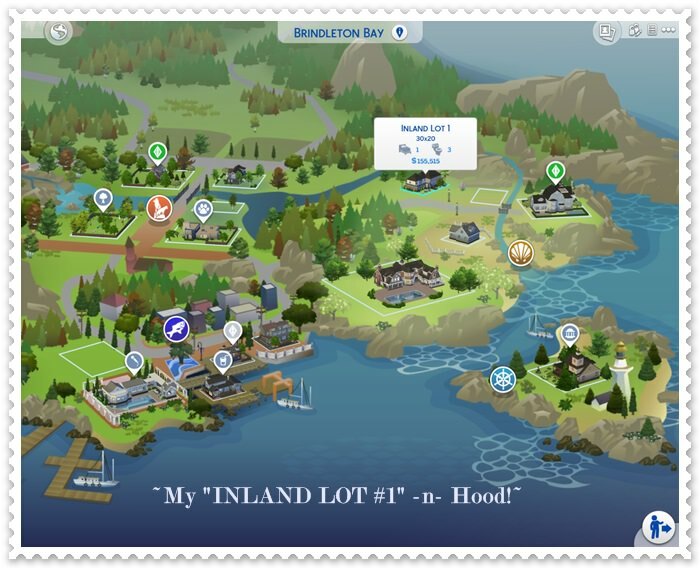 Stacy Adams (My Simmie) and Homie (Jess Lajoie), lived in my created hood, Paytonville. 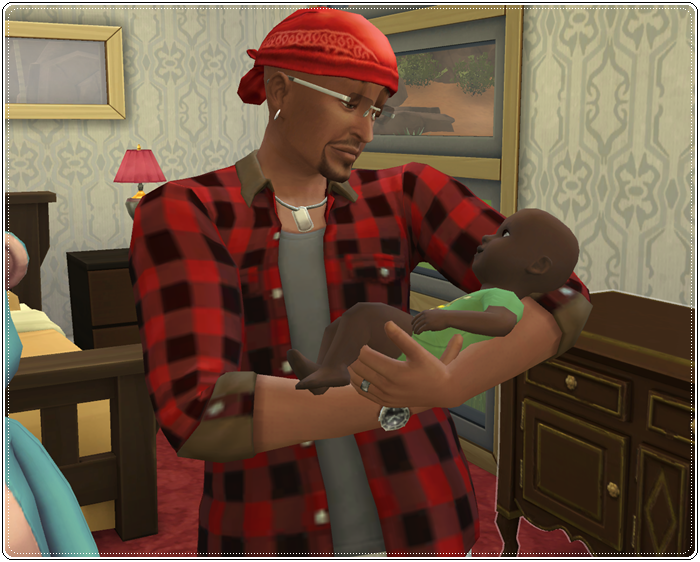 Abducted Sim - Irfan & Birth of BBy Onyx! Guys! 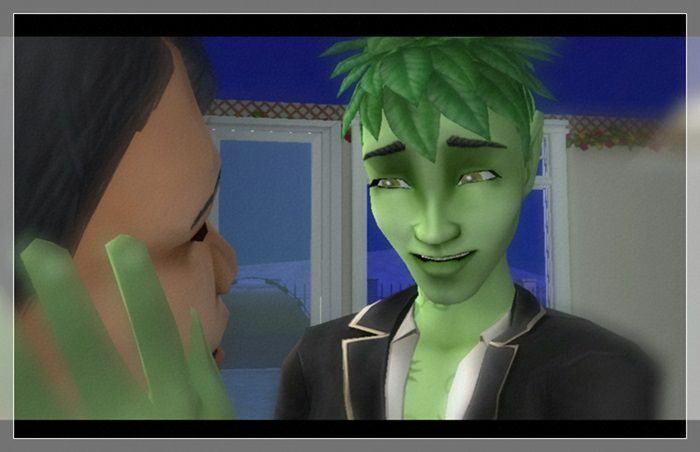 I wanna share My Sim, Irfan & his Alien Son - Onyx! 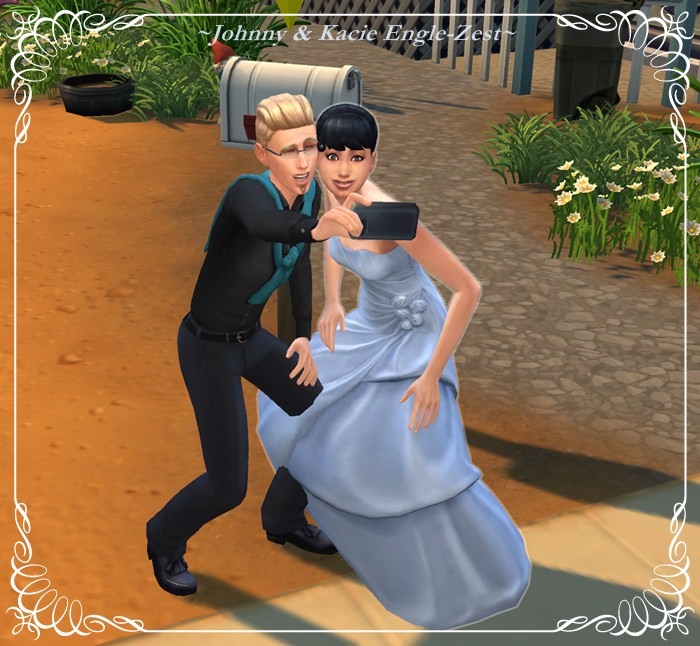 My Sim, was abducted and was returned to earth - with child. I am unable to post the pics of that grand abduction as my Fraps was on the blink! Maybe next time. I am happy though, to share the birth of my (Irfan's), beautiful Alien BBy with you. Hope you like my little accounts of the event! This is my Wilbourn Family. 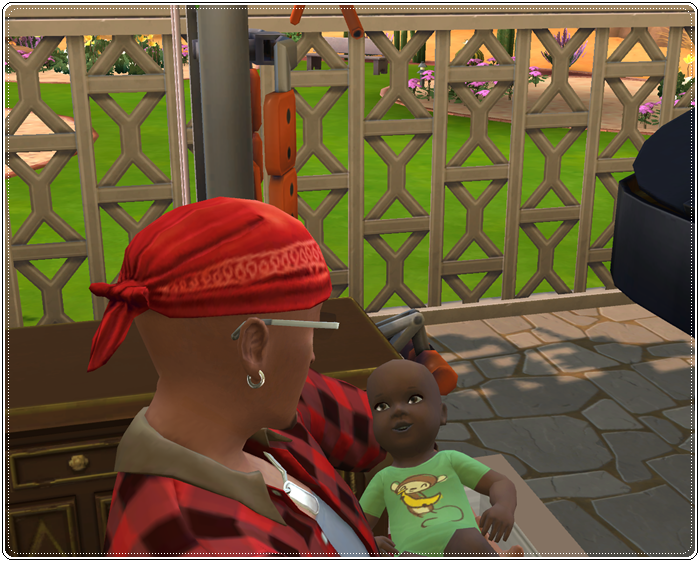 Pixi and Duane just moved into their first home, and Pixi's ready to start a family. 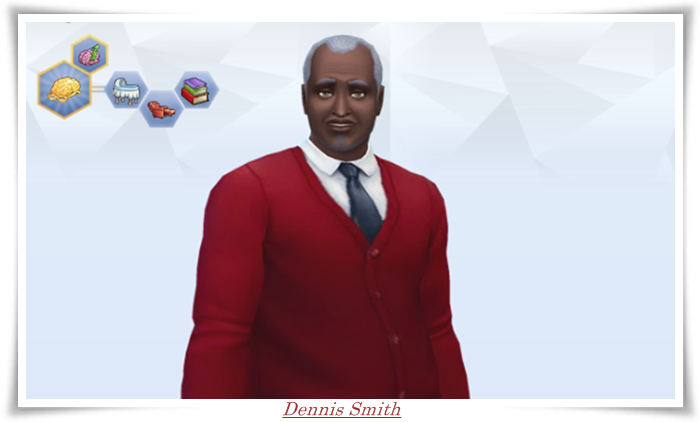 Duane wants to wait until he can find a good job before thinking about a family. Space Ship in Riverblossom Hills! 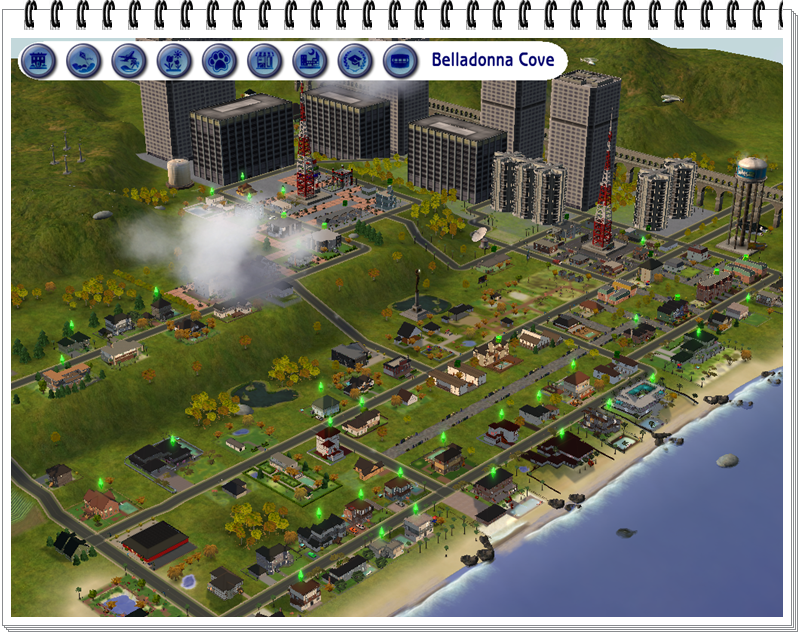 This is my quiet little town - Riverblossom Hills. 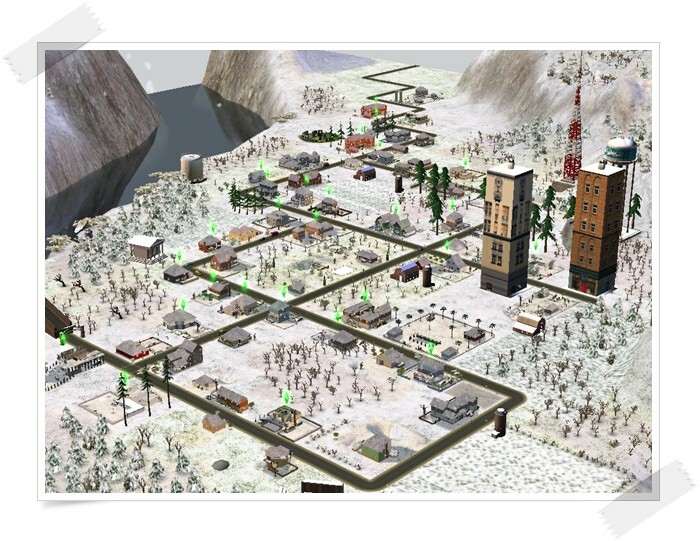 Snow makes this quiet little town a Winter Wonderland! Check out my 'Spoiler' for more snaps! Life with Count Victor & Countess Victoria Trant! 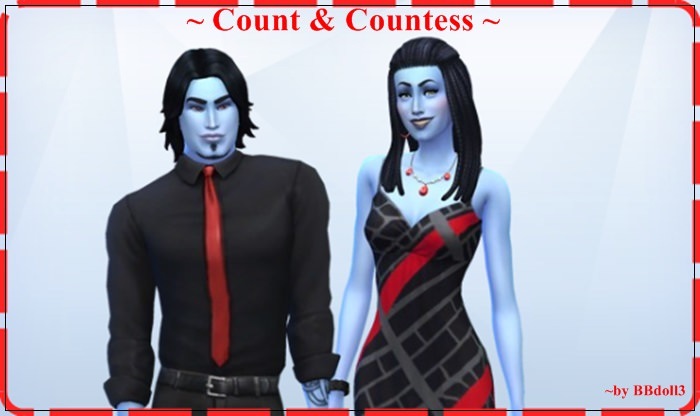 This is my Count Victor Trant & Countess Victoria Trant. Hello Everyone! 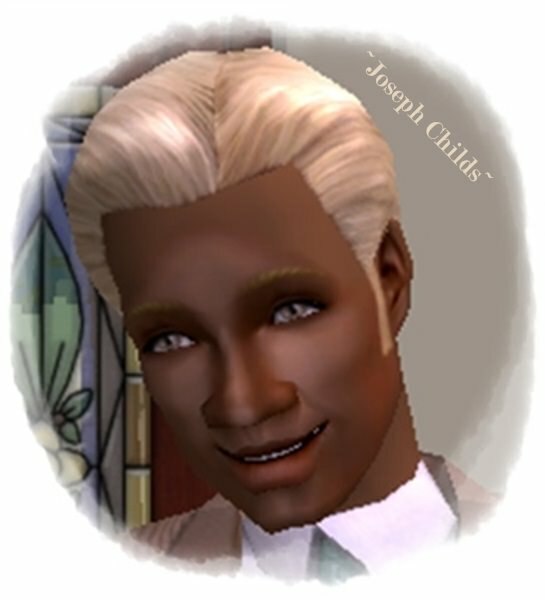 Meet my New Simmie "Abdullah"! Welcome to the life of Raymond Pereira! everyone! 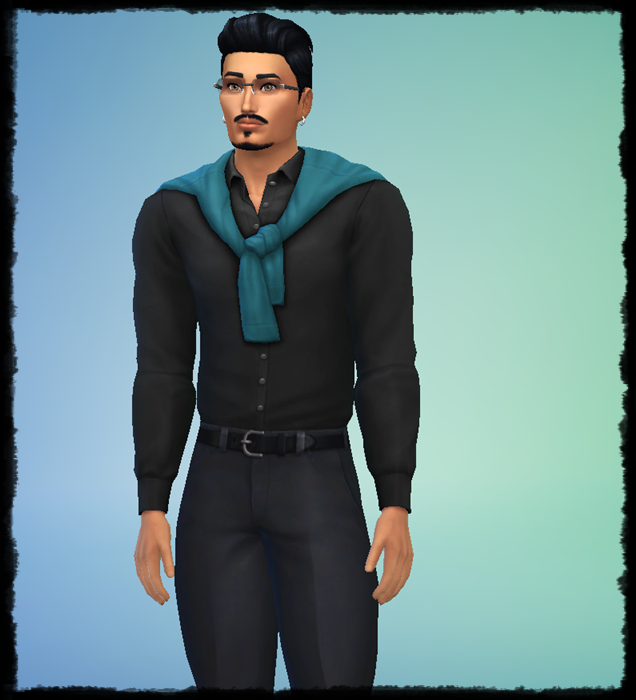 Welcome to the life of my sim, "Raymond Pereira"! This is my, Terrie B. simmie! She used to be super Fat, but I had her working her booty off, and now look at her! 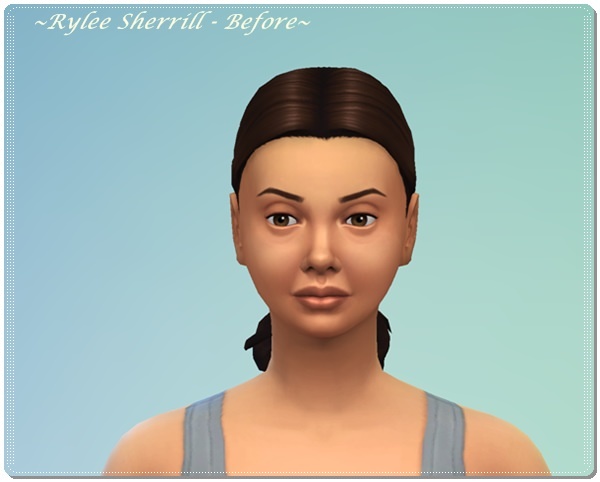 Terrie B. is actually my daughter's - Sim Selfie! 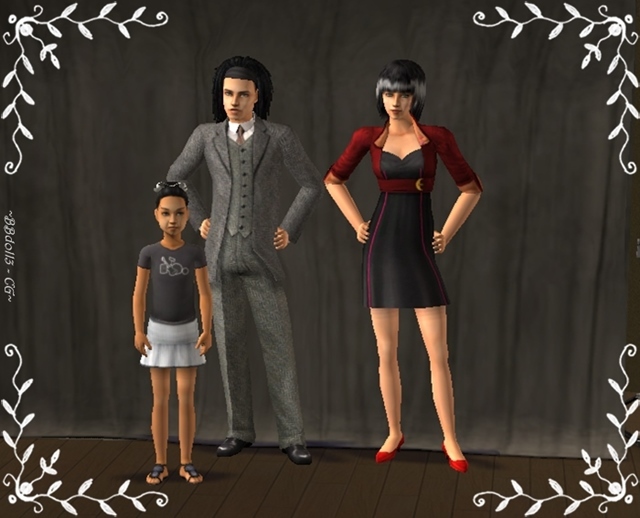 This is (was) my Childs Family in my Sims 2 Game! 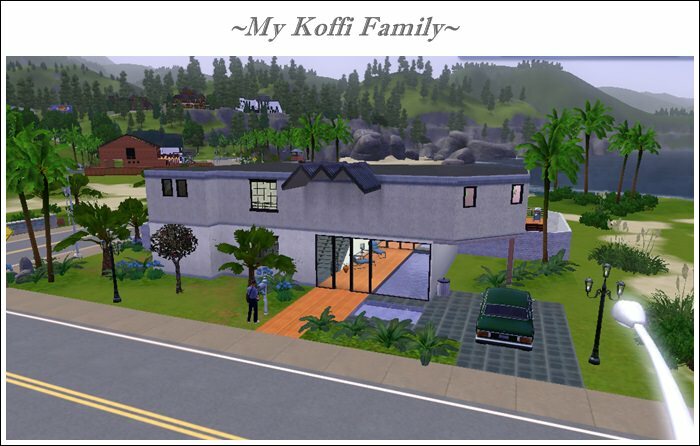 I wanted to share my "Childs Family"
Well, figured it's time to give it a go in my Sims 3. Wasn't too bad, at least I figured out how to work the change of outfits. 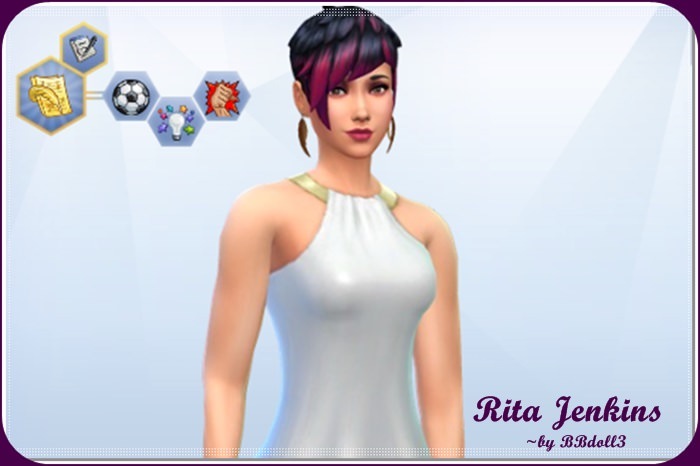 But after I bought my Sims some new clothes and got her a career, my gurl had a birthday and got Old! What the heck! I gotta figure out how to turn off the aging or up the aging process. everyone! It's been a long time since I've blogged so gonna fill you in on my game. 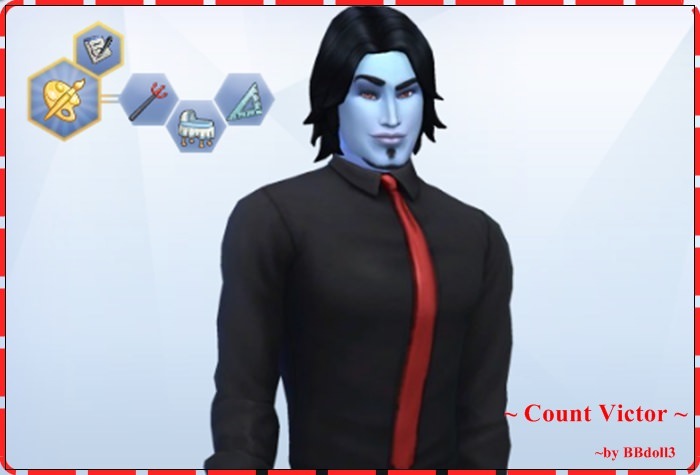 I've finally jumped back into my Sims3, but not liking it much. 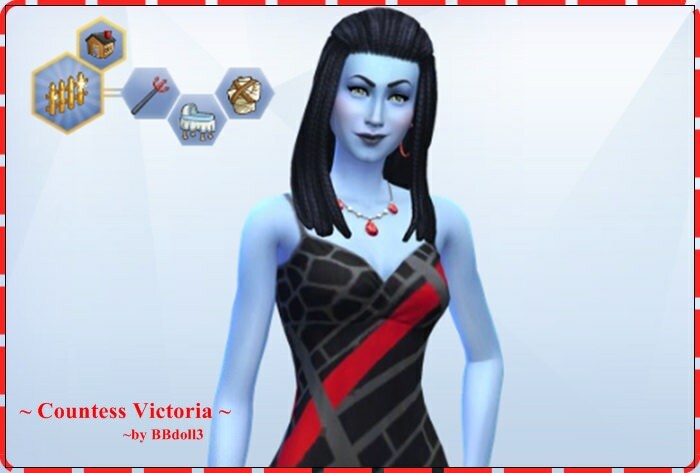 It's hard to figured out how to build and change the clothes on my simmies. Just play the game at all. 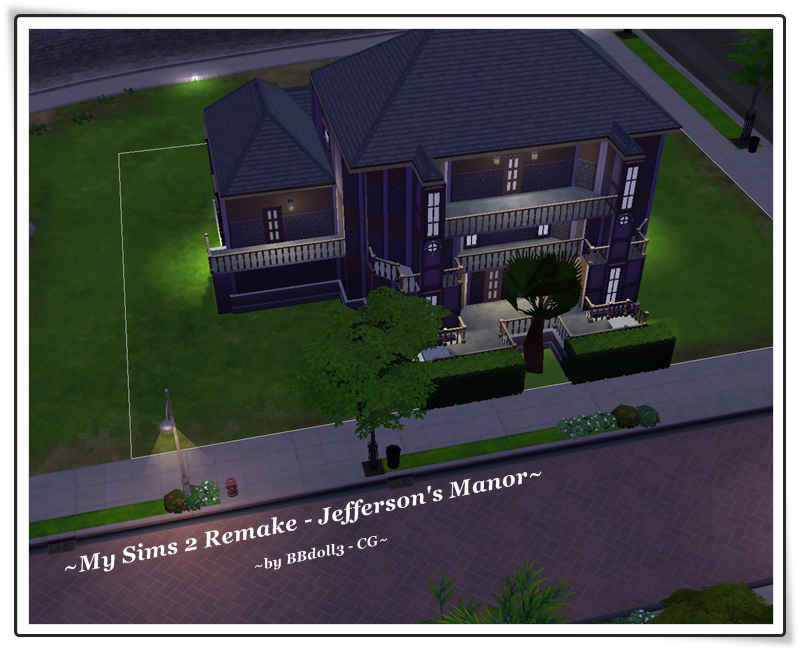 TS2 Remakes in my Sims 4! 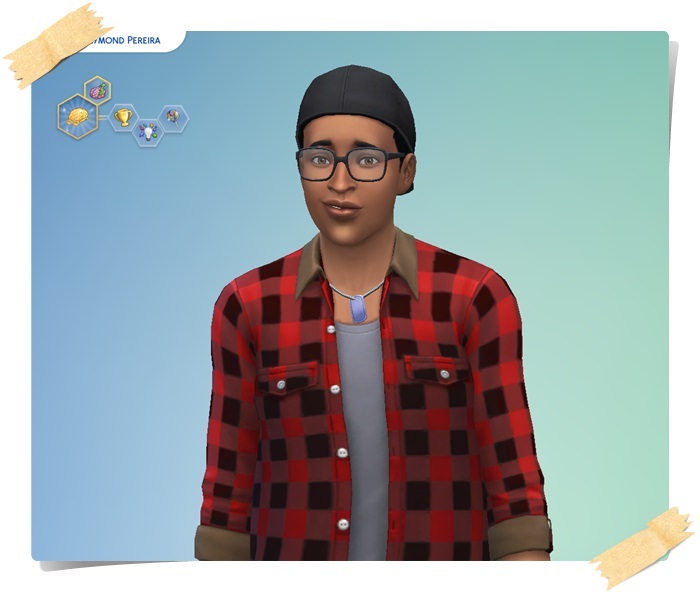 New Stuff on Sims 4! This is my "Wolfe" Family. 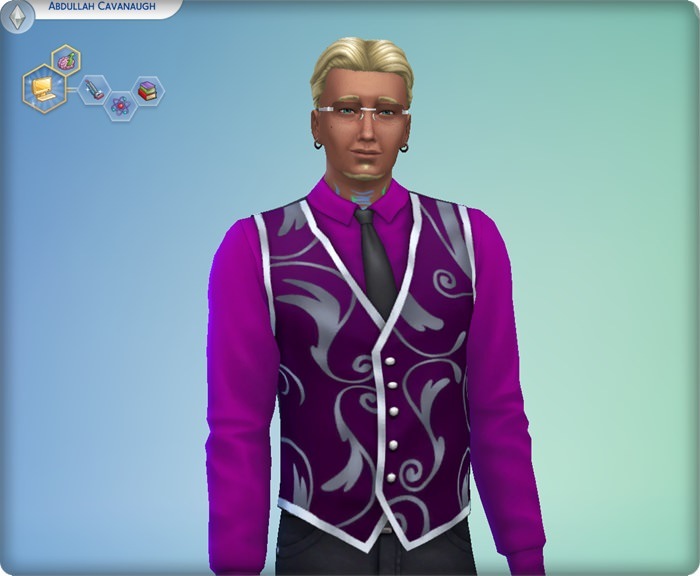 This is one of Dasiy's handsome male Sims that she has shared. My Arkna has married, beautiful Ashley and now have a beautiful BBy Girl - Arial. She has her mother's eyes and skin tone. 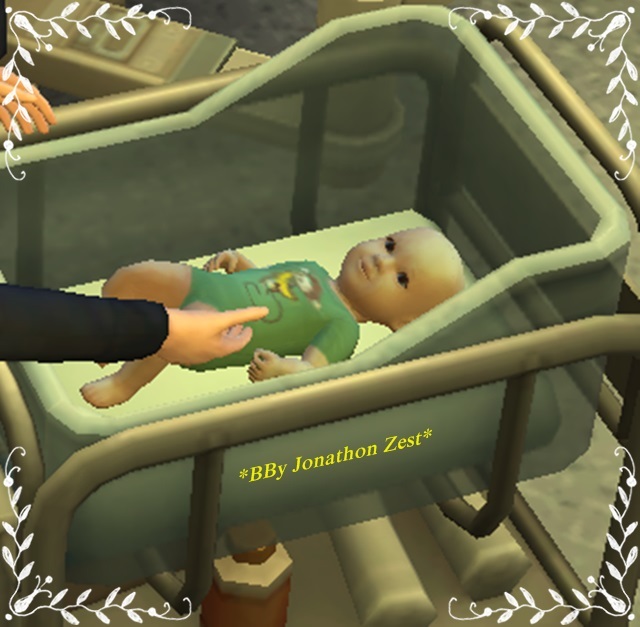 Daisy's Male Sims made some Beautiful BBy's! 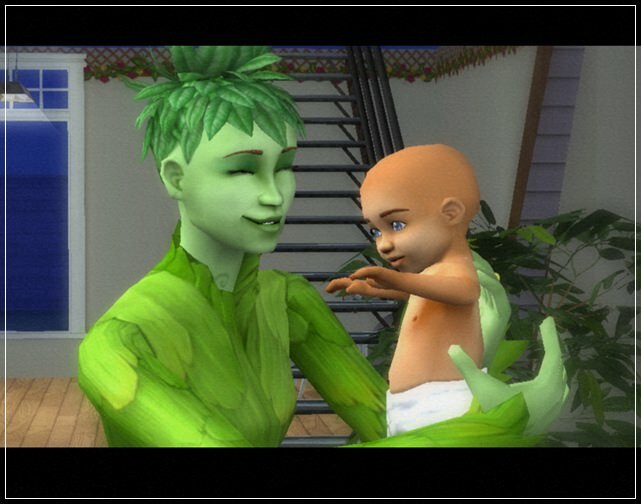 Jessie Greenman - First Human BBy to the Greenman's! Rose and Jason's child, actually, it's Jason's 1st bby, as Plant bby's have no relations to humans. The only thing they may share is the surname. Bummer! 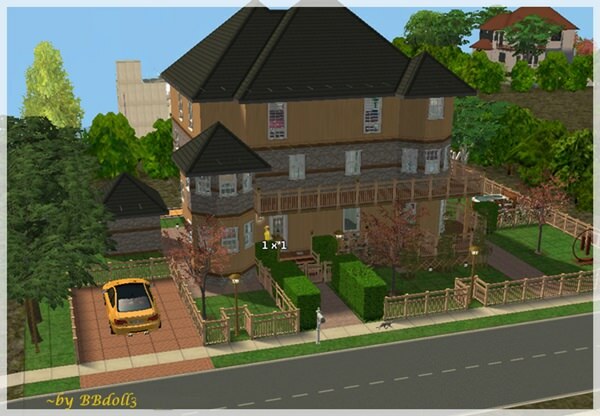 My Remake of "Inland Lot #1"
Ts2 Remake Lot for Sims 4! 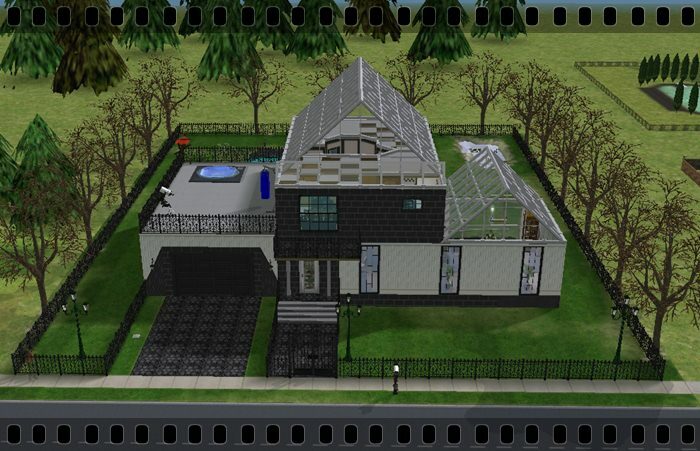 The Beginning of my Sims 4! 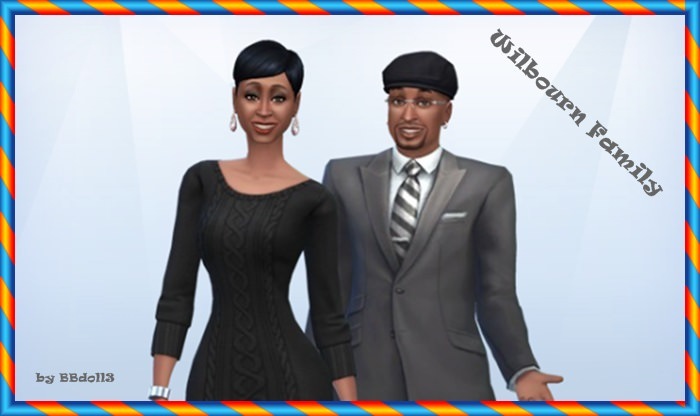 This is my new Grandma and Grand pa for my Sims 4 game. 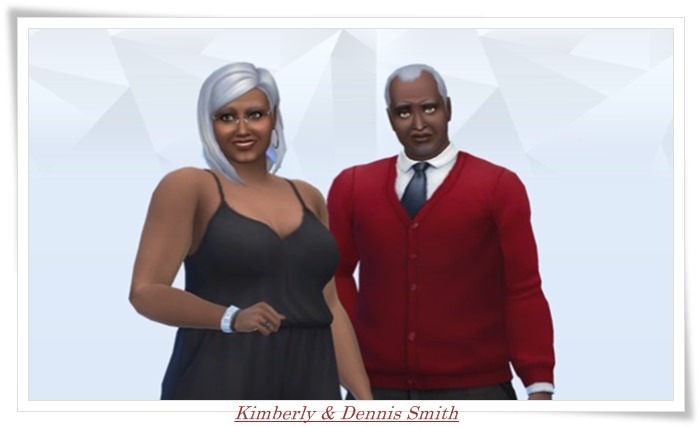 Meet Kimberly and Dennis Smith. Meet my first Japenses Sim, ever. 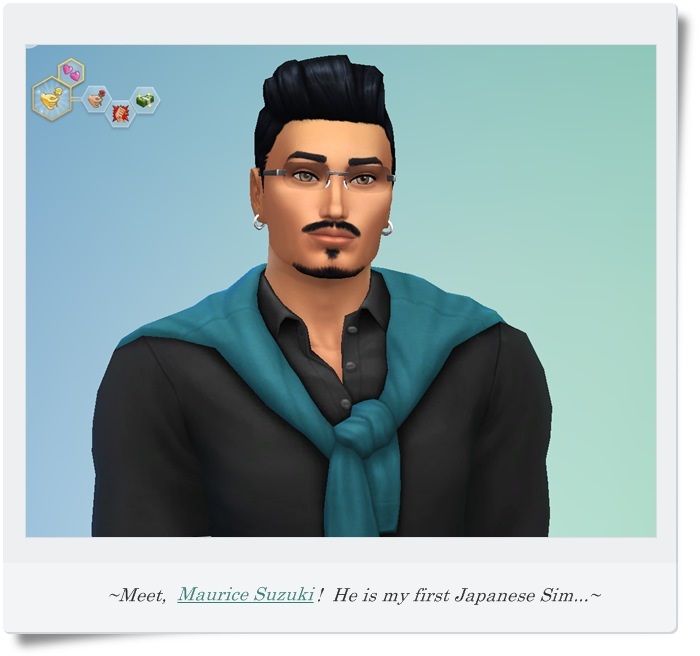 "Maurice Suzuki" He's new for Sims4! 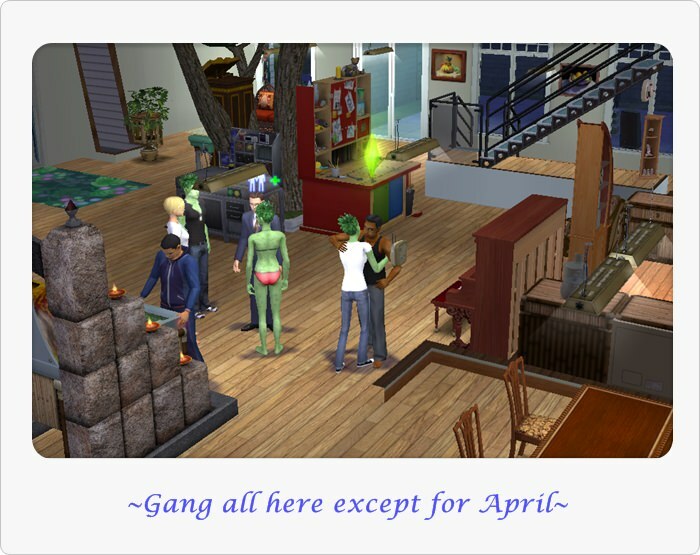 My Zest Family - Oasis Springs! 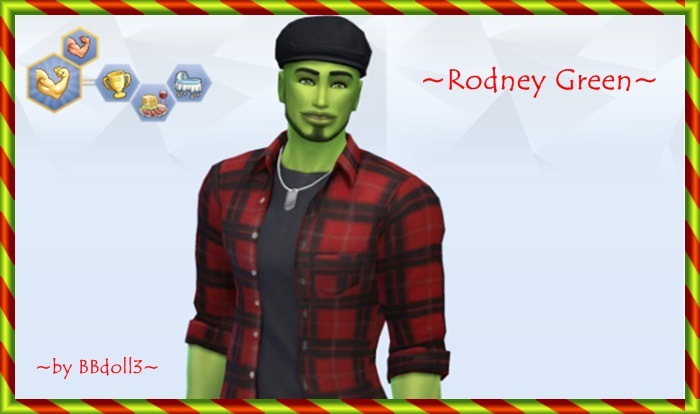 I played my, "Rodney Green" for a while today. Check him out! 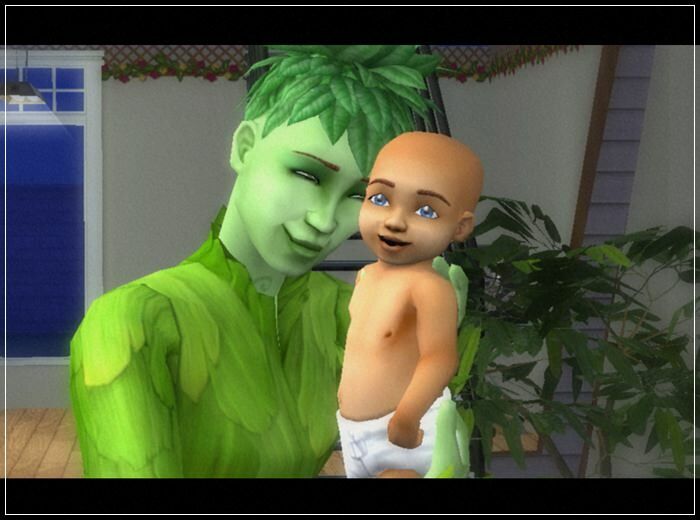 Justin is Rose's 7th child and 5th PlantBaby! I just totally having and playing Plant BBy's!!!! I must say, it's time for my Daisy Greenman to find a man. Daisy looks at him and thinks, "Ohhhh Myyyy! This man is sooo gorgeous." Joselyn Childs - Ready for College! Account of Joselyn's last day at home. 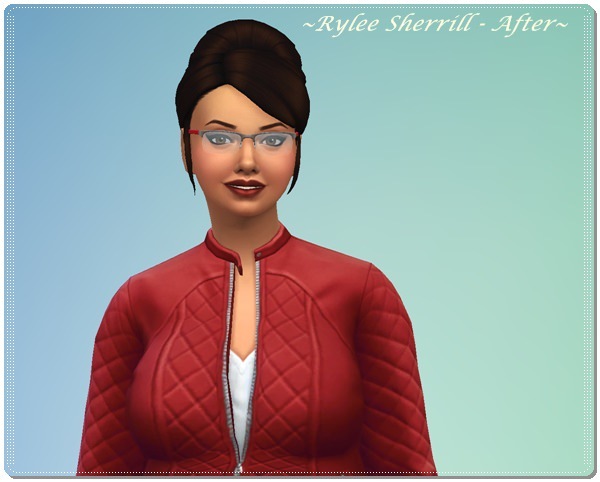 Joselyn is a beautiful A+ Student at Belladonna High, and setting her sights on a career in Law. Baby Devan turning to Child! This is Devan's journey to becoming a child. Dad holding him just before he grows into a child. Hello Everyone! I am back into playing my games and having a down-right awesome time. 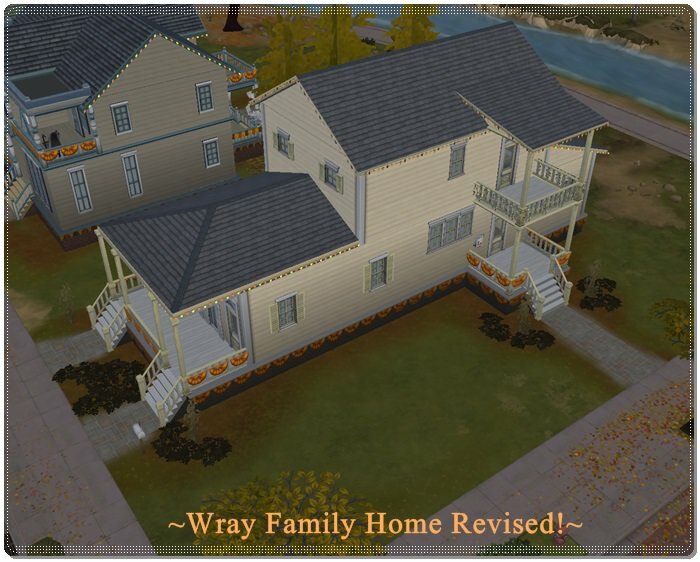 I am currently playing my Sims4 game and reacquainting myself with all of the Cheats, Mouse Control stuff, Revising and "Flipping" my Sims homes.